Before being admitted to Circle the City, Johnny was at a vulnerable point in his life. A little more than two months prior, he had been a member of an underground pipeline crew working on a light rail construction project. One day a car barreled through a barricade and struck Johnny, shattering his left tibia and fibula. He was taken to a hospital for surgery then discharged two days later to a rehabilitation facility for two months. During his recuperation, Johnny lost his housing. He had no income to find new accommodations and no health insurance to pay for further medical treatment. On top of all these challenges, he was struggling with alcoholism. The rehabilitation facility made arrangements for Johnny to spend a week in a transitional substance abuse treatment facility where he received case management services to figure out his next step. Calls were placed to residential substance abuse treatment programs, shelters, transitional housing facilities, and somewhere along the line contact was also made with Circle the City. However, Johnny’s brief week-long stopover at the transition facility went quickly and by the end of his stay, it was still unclear where exactly Johnny would be discharged. 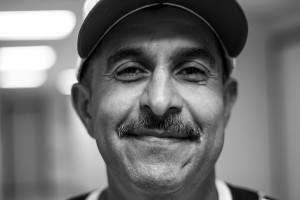 An emergency shelter with support services for those in recovery was willing to admit him. But the facility was not a medically-safe option. It was not handicap-accessible, which Johnny needed due to the cast that he was still wearing for his leg injury. Additionally, the shelter had no medical services or a physical therapy program, which he needed to recover fully and return to work. Johnny attends AA meetings at Circle the City as well as weekly communion services. He is working with his case manager and has applied for health insurance, which is pending, and housing options. He’s also consulting with a lawyer about the legal aspects of the accident that led to his injury and is looking forward to returning to the underground pipeline crew. In fact, his supervisor visits him regularly at Circle the City. Best of all, he has reconnected with his family in California.